MonViet's origins started way back then around 40 years ago, with a humble noodle stall in a street corner of Saigon . 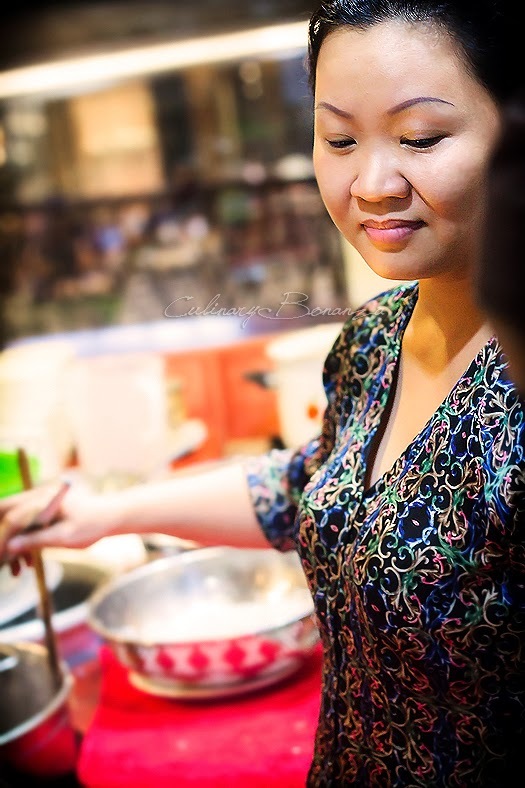 A mother's amazing talent in creating heartwarming noodle bowls and her incredible hard work paid off and she could put her 9 children to school. Sadly, today that historical noodle house is no longer around. However, seeing the families, friends and customers' insatiable longing to savour the mother's signature dishes, one of the sons and the youngest daughter finally decided to open a restaurant in Jakarta, and they name it monViet. Hai, the son who plans and co-owns monViet handles the business side of the restaurant, whereas Loan, the youngest daughter who learned to cook from the mother, heads the kitchen and continuously updates the menu with new creations. 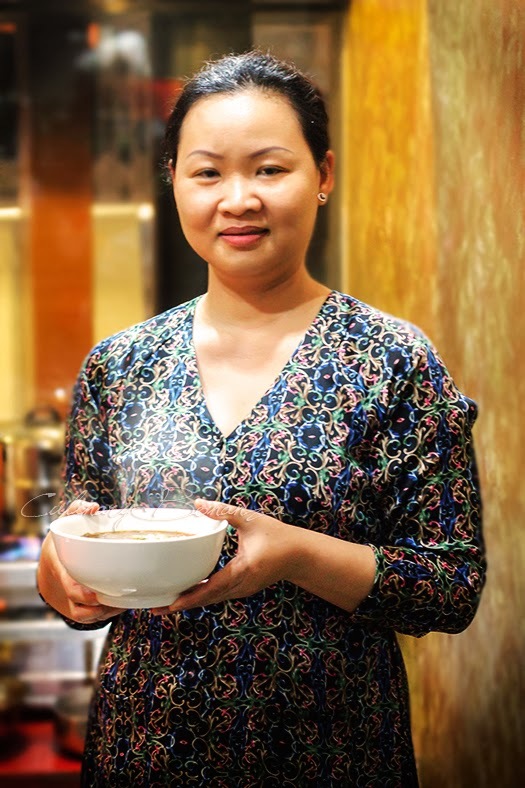 To preserve the authenticity of the mother's recipe, Monviet's head of kitchen, Loan even grows her own herbs, which cannot be found in Jakarta. Both Loan and Hai are truly amazing Vietnamese who are very passionate about sharing their mother's legacy. In the Vietnamese food culture, it is common to serve a side of fresh herbs and vegetables with a dish. They are optional addition, which can be used to wrap the food nd then dipped into the sauce or to be mixed in the food as much as desired. 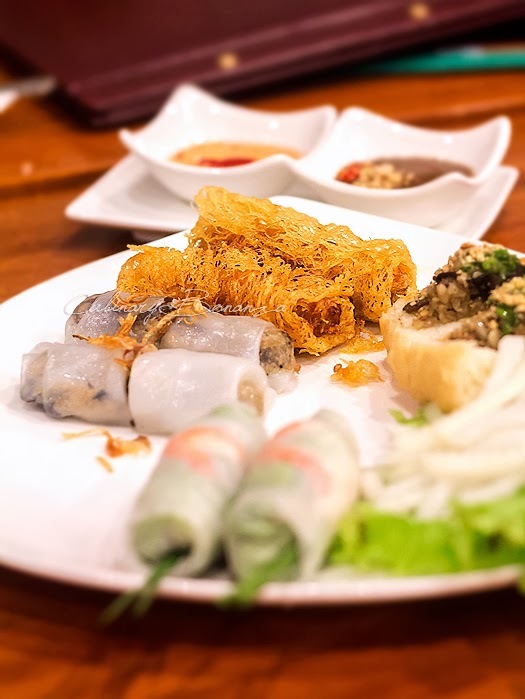 Vietnamese food culture is obsessed with dipping sauces and each dishes are to be consumed with different dipping sauces to create the wholesome eating experience. 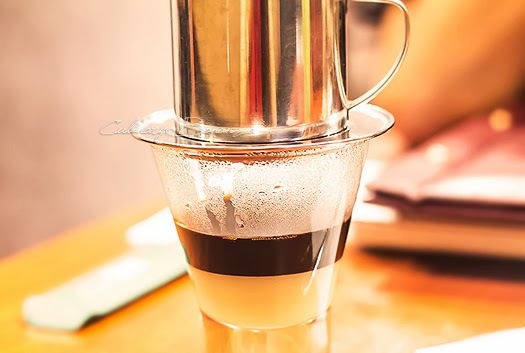 The Vietnamese drip coffee is essentially concentrated coffee brew made with drip method and condensed milk. Because the coffee is so strong, Hai recommends guests to enjoy the coffee with ice to make it more diluted. Vietnamese coffee normally uses robusta variety and the proportion of condensed milk to coffee is 1 to 3-4 parts. 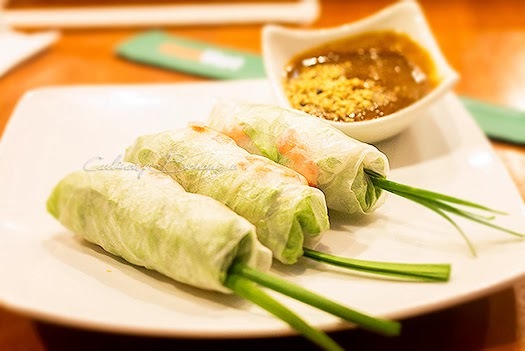 Currently, monViet's menu is very extensive with 26 variants of noodle dishes, Vietnam Rice Plates (a meal comprised of fragrant pandan steamed rice, meat or fish, garnish and sauce), Vietnamese Sandwiches, Chef Favourites (special recommendation of popular Vietnamese dishes and inspired from other popular dishes throughout Asia) and Appetizers. 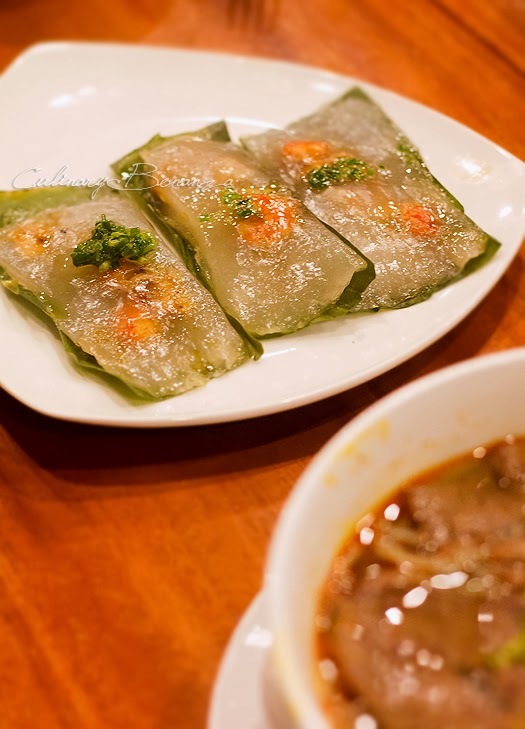 Banh Bot Loc - Vietnamese dumpling with shrimp and chicken and steamed in banana leaf. The dumpling is chewy and is best eaten with the dipping sauce to bring out the rich flavours. 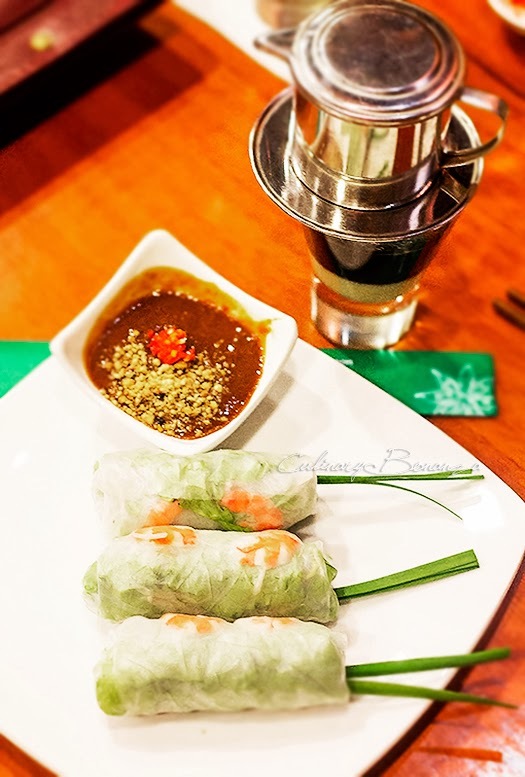 Goi Cuon Chay - Vietnamese summer roll with vegetarian filling. Also available in normal version with shrimp and chicken filling. 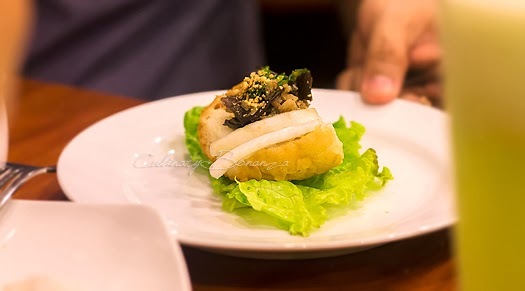 This is a truly delightful appetizer and taste so light with fresh vegetable and rice vermicelli as filling. The semi translucent skin indicates how delicate the roll is. Again, this must be consumed with the dipping sauce, because the roll is purposely made unseasoned. 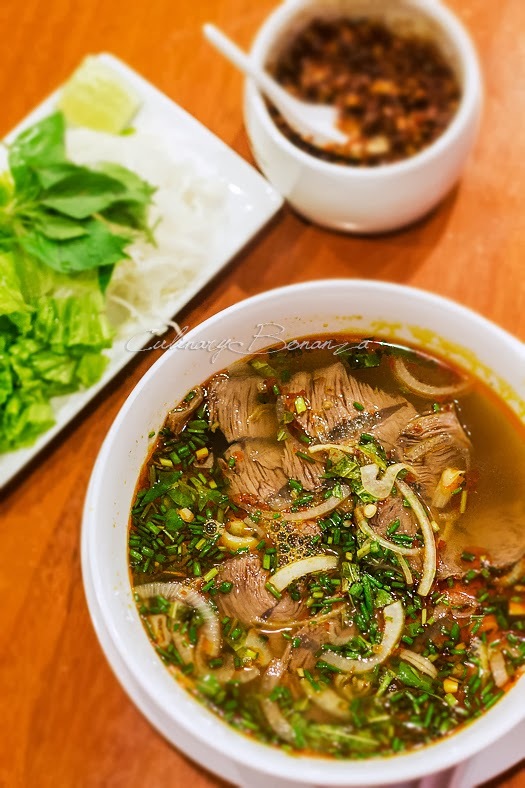 One cannot talk about monViet without talking about the Bun Bo Hue, a type of spicy Hue (a town in Vietnam) beef soup with rice vermicelli and mixed with fresh herbs like Ngo Gai (thorny coriander) and Rau Ram (Vietnamese coriander). Bun Bo hue is the first noodle soup made by the mother back in the 70s, and is cooked by boiling the broth for 14 hours. Add the chili flakes for extra hot kick! The soup is really delicious and the addition of fresh herbs and vegetables brings out the rich flavours and the fragrance of the broth even more. This is definitely an ideal dish to eat when it's raining outside (Indomie, go away!). 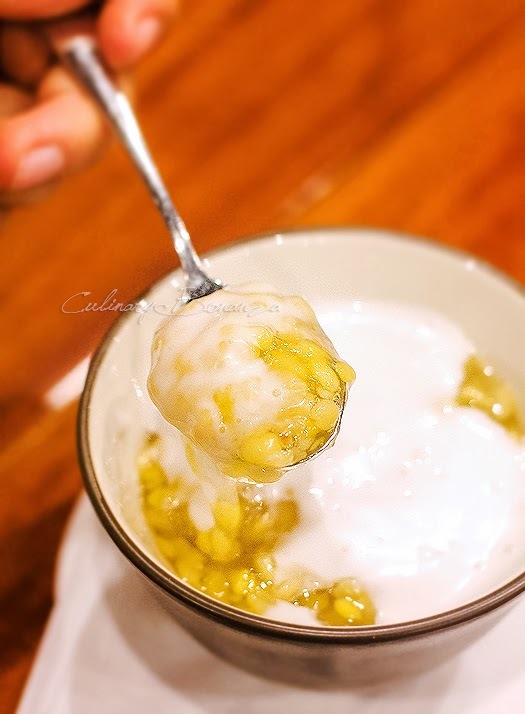 Che Bap (sticky mung bean with sweet & thick coconut sauce). This is just like a type of Chinese dessert, called 'tao suan' or sweet mung beans soup that's usually eaten with 'yu tiao' or cakwe. But the Vietnamese version is thicker and sweeter and it uses coconut cream. monViet is totally recommended for an amazingly delicious authentic Vietnamese food at an affordable price. The only down side (for me) is its location which is far from where I live. I would probably be a regular if it were closer to home, but the exquisite Bun Bo Hue is a reason enough to make me drive 45 minutes south.